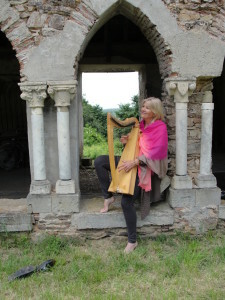 —PJ Birosik, Musik International Corp.
MUSIC: Ani Williams is world-renowned harpist and singer, and has recorded more than two-dozen albums of original sacred music based on ancient spiritual traditions. 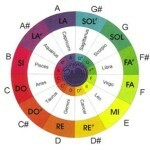 She has done seminal work in the study of sound healing and the relationship between musical tones, the human voice and healing. Ani has been recording her enchanting style of music since 1981, has been produced and distributed by such noteworthy companies as Music Design, White Swan, New Leaf, Ladyslipper Records, and internationally in Europe, England, Australia, and Mexico. In addition to her own releases, Williams has recorded four releases of sacred chant with Lisa Thiel, three co-created recordings with Brooke Medicine Eagle, and a recording at George Lucas’ Skywalker Studios for the CD “The Psalms of Ra” by composer Jim Berenholtz. VENUES: Ani has performed internationally since 1985, in Central and South America, England, France, Holland, Scotland, Poland, Czech Republic and Egypt; in such venues as Saint James Cathedral in London, Findhorn Foundation in Scotland, Troyes Cathedral, the Giza Pyramids, Den Rus in Amsterdam, Centro de Cultura in Mexico City; and in the United States for various conferences, including Tom Kenyon Seminars, Women of Wisdom in Seattle, Institute Noetic Sciences, Delta Society in Atlanta, and for the United Nations in San Francisco. 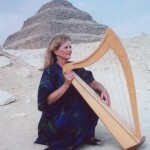 AWARDS AND MEDIA: In 2005 Ani’s Egyptian harp music was chosen for theHatshepsut—From Queen to Pharaoh exhibit tour soundtrack at the De Young Museum in San Francisco and the Metropolitan Museum in New York. Her 1986 original soundtrack for the film Andromeda won high honors at the Chicago International Film Festival. Williams has appeared on numerous television and radio programs, including having her music aired on syndicated FM show Music From the Hearts of Space. and her music has been mentioned in Billboard Magazine as well as reviews and interviews in dozens of magazines internationally. Williams received certificates of participation in 1998–2011 from Fundacion de Milagros, Mexico City, for bringing her music into prisons and children’s hospitals. In 2005 she was honored for her participation in the Children’s Hospice of Poland music program. 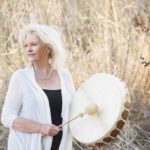 SOUND THERAPY: In 1994 Ani Williams developed Songaia Sound Medicine, a system of using specific musical frequencies as therapy, and developed the Songaia CD’s a series sound meditations, used as an effective healing tool for her clients. 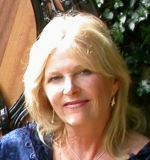 She presents sound healing seminars in the US, Mexico, Holland and England, and maintains a private sound counseling practice. 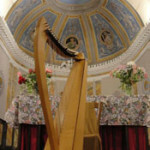 PILGRIMAGES: Williams leads pilgrimages to France, Spain, England and Scotland, where her groups experience the transformative power of sound. Williams has been exploring the role of Mary Magdalene as an archetype in the reemergence of the sacred feminine since 1987. Her research of the feminine disciples in the Gnostic texts has resulted in recordings dedicated to Magdalene and Sophia, with music and chant in Aramaic, Hebrew and Egyptian languages, incorporating ancient Middle-Eastern music scales. WRITINGS: Ani Williams has been a contributing writer for Four Corners Magazine, Spirit of Maat web magazine, and The Temple Booklets published in UK. 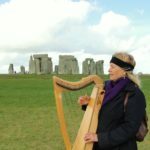 Ani’s writings are published in the following books which include her stories on sound healing at sacred sites: Earthwalking Sky Dancers, The Cathar View, The Templar Papers, as well as numerous articles on this site. She is currently writing a book about her discoveries of the feminine footprints in the Pyrenees since ancient times.